Kimberly Neff has Toxic Neuropathy that was caused by a work “accident”. Her story goes as this ““ Two years ago she was working as a security guard in a gate house for a residential community. When a worker from their monthly pest control company came out to spray for ants, she showed him some video footage where ants were coming from the air ducts. So, he decided to push the attic door open and just fill the attic with pesticide fog. 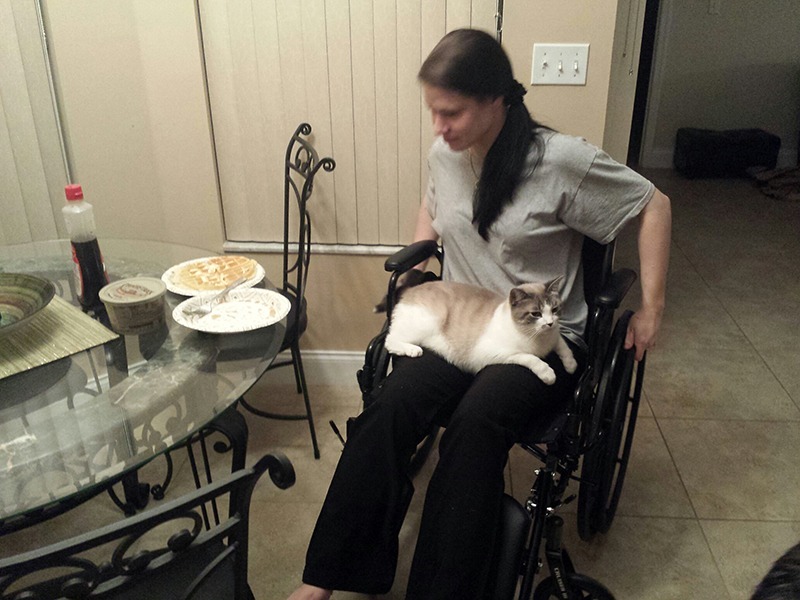 He told her to leave both doors open, and that she should be fine: Now Kim is in a wheelchair, she can’t walk on her own, she’s lost most feeling in her legs, she sometimes loses control of her bladder and bowel functions, she has neurological problems and people treat her differently. Kim is currently on 18 different prescription medications/lotions/patches and she is still waiting on Disability for assistance. The above has been altered from Kimberly’s own words. Kim is 25 and her story touched me. Power of Pain Foundation is excited to announce our fundraisers program. Each month POPF will donate $200 that will be spread evenly to 4 fundraisers. Each fundraiser selected will receive a $50 dollar donation and will be hosted on the home page www.powerofpain.org With a focus on youth, each fundraiser selected must be under the age of 21. We understand the difficulties of raising funds. We want to spread awareness about your fundraiser. We want your story to be heard and have the chance to say thank you to those that do donate. Read someones story, make a donation and feel good about yourself at the same time. No donation is too small. A whole lot of little adds up to a gob! If you would like to donate to this program and raise the amount that gets spread evenly please click here. All donations are tax deductible. See your donations directly help others. When you donate to this program your donation will add to the amount that gets spread evenly amongst our fundraisers for the month. It’s a fun and exciting way to see your donation help others. When you choose to donate to this program, your name will be listed as a program sponsor. Have fun helping others and feel good about yourself at the same time. Please make your donations to this program dividable by 4.